The Waste Resource Association of Nova Scotia (WRANS) has launched a cheeky but powerful new campaign called Don't Be A Prick, aimed at reminding people not to improperly dispose of needles and medical waste. The campaign features a video with actual front-line waste workers speaking directly to a camera with messages such as "Don't be the prick that costs me my health, my safety and my livelihood." "We wanted to show Nova Scotians the real faces of the workers," says the association's Kirk Symonds, who helped created the campaign. Symonds is the regional educator at Region 6 Solid Waste Management, a non-profit group providing solid waste education and leadership to a number of towns on the South Shore. 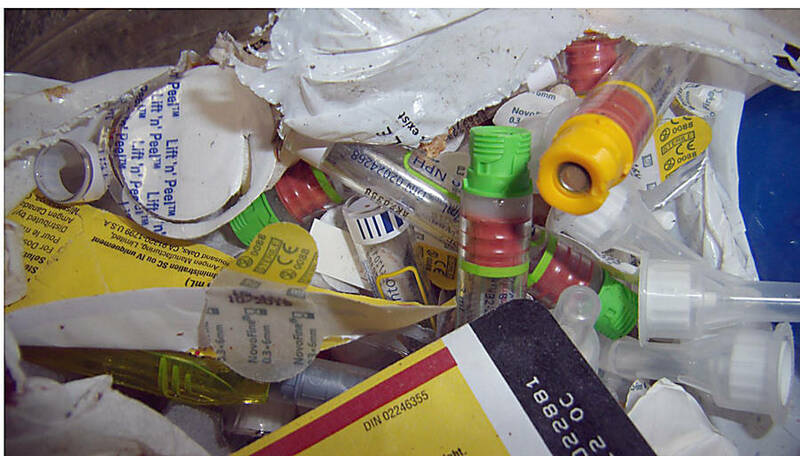 He provided LighthouseNOW with photos of needles and other medical waste that were discovered in Lunenburg County, which were taken by Angela Taylor, the Outreach and Compliance Officer at the Municipal Joint Services Board (MJSB). 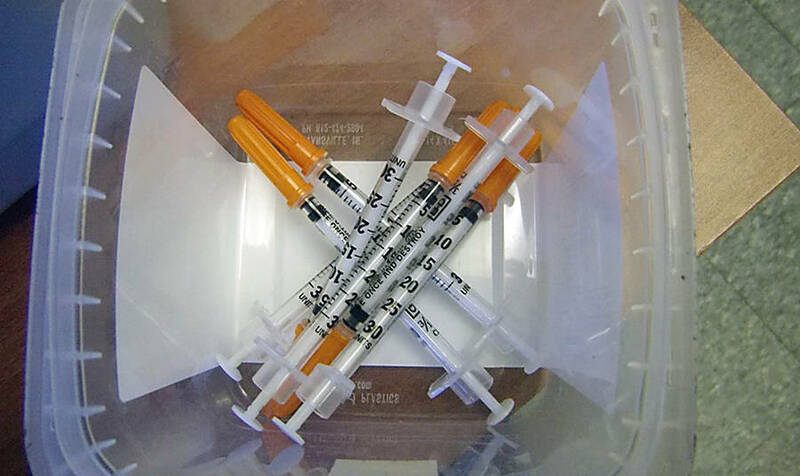 According to the MJSB's Community Recycling Centre website, syringes, needles and lancets "must be placed in a safe sharps container and returned to a local pharmacy." The centre notes that sharps containers can be picked up free of charge at any pharmacy or Canadian Diabetes Association supply centre. "Some people think their waste disappears once they put it to the curb. We wanted to demystify the process and show that these are real people, and that their safety is in your hands," Symonds says in a news release launching the campaign. According to the release, there are no statistics for needlestick injuries in Nova Scotia. However, in the U.S. there are as many as 1,481 such injuries annually - 2.7 per 100 workers. Symonds says WRANS wanted to create a memorable campaign that would...er, stick in people's minds the next time they bag up their waste. "Waste workers work incredibly hard in a fast-paced environment. They only have a split second to spot a risk on the sorting line or the curbside," he says. "We need the public to dispose of every sharp properly, every single time." "It's impossible for me to know what's in every bag. I'm relying on you for my safety," says one curbside collector in the video. Showing a sorting conveyor belt, the video has a voice-over of one recycling worker who says everything stops when they spot a needles or a medical device. "What's worse, is when we don't spot it," adds the worker. "One prick from a needle means a year of tests before I know whether or not I'm going to get sick.That's one year before I know I'm not going to infect someone I love. " says another worker. WRANS is a non-profit association made up of professionals in the solid waste industry in Nova Scotia.